If rainbows don't make you smile than you might be just a little bit dead inside. Or maybe you are just color blind. But if they do make you as happy as they make me then St. Patrick's Day is a great excuse to use all of your favorite rainbow ideas, and these cute rainbow cake pops would be a fun treat on March 17. 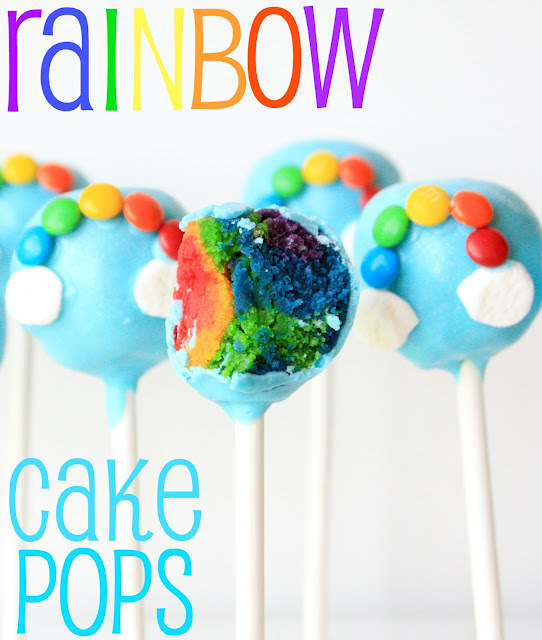 You can check out how to make these fun rainbow cake pops, that are rainbow on the inside and out, over at Munchkin Munchies.